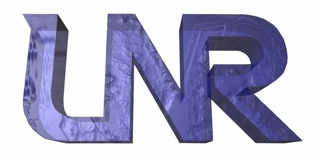 UNRLabs is a private effort, independent group of neuroscientists working on nervous system with a research philosophy of 'evolutionary holism'. The main critic raised through holism is, how our understandability of consciousness degrades substantially when a divide-and-conquer strategy is imposed. Eventually, this point of view ends up with a zoological counterpart of uncertainty principle, which can be summarized as: "the more we divide/the more we interfere, the more we're far from the true nature". So, the optimum between specialization and true-holism (which obviously is impossible), might be to reside in a level which includes the core components of the central nervous system. We propose a framework including memory, sensory and motor systems, provided that the memory resides at the core. Since they are known to have evolved mostly in a parallel fashion, this might provide us an explanation about the physical principles to which the levels of consciousness depend. With this common background, the members are specialized in different subfields of neuroscience and continue their career in different research centers in the world. However, the final aim might be to "unify" one day under the same roof. If you are a well-motivated scientist with peaking curiosity in neurophilosophy, contact us.